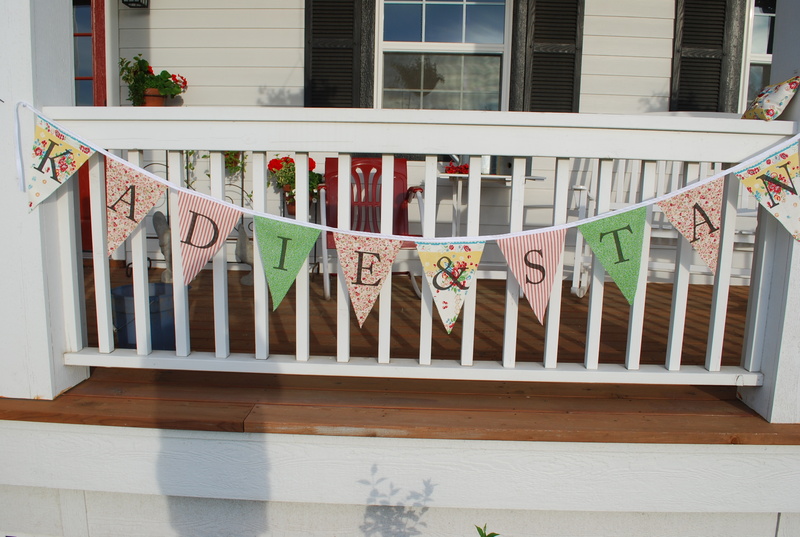 I have worked all day long on more of Kadie’s (daughter) wedding stuff. I have been frantically trying to get it all done, so that I can get it all shipped and have it waiting there for me in Michigan once I arrive. HOWEVER……I seem to keep adding things and adding things and adding things…..I just keep getting these great ideas!!! If I would just stay off of my computer for one night I would stop getting “inspired” and probably be able to get done!!! Problem is, I get so excited when I see some really cool “something” and I think, “Oh heck, I can so do that” ……..then I do it…..and it puts me back another day! 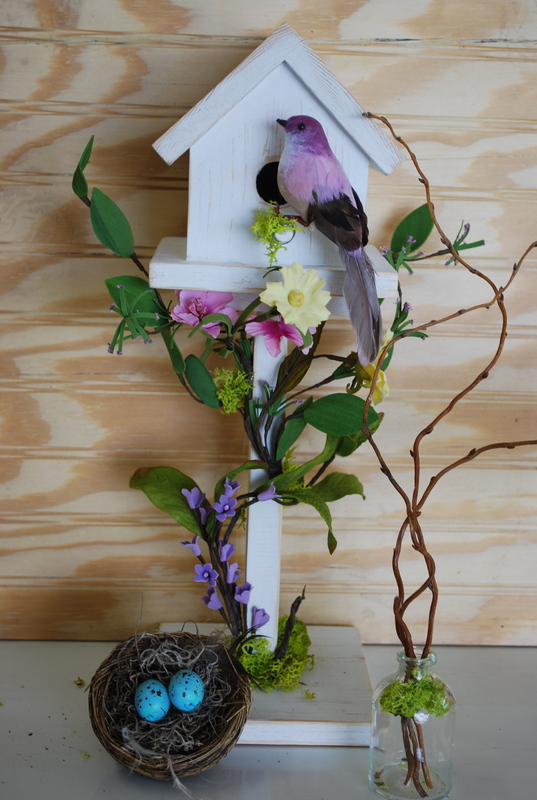 Here are my latest projects that have kept me from letting Armando, (My UPS driver) take that dang “almost packed” box, or I should say boxes!!! Thanks to the internet I found a way to actually use my ink jet printer to print on fabric TOTALLY COOL! I can’t wait to try some other stuff using this method. 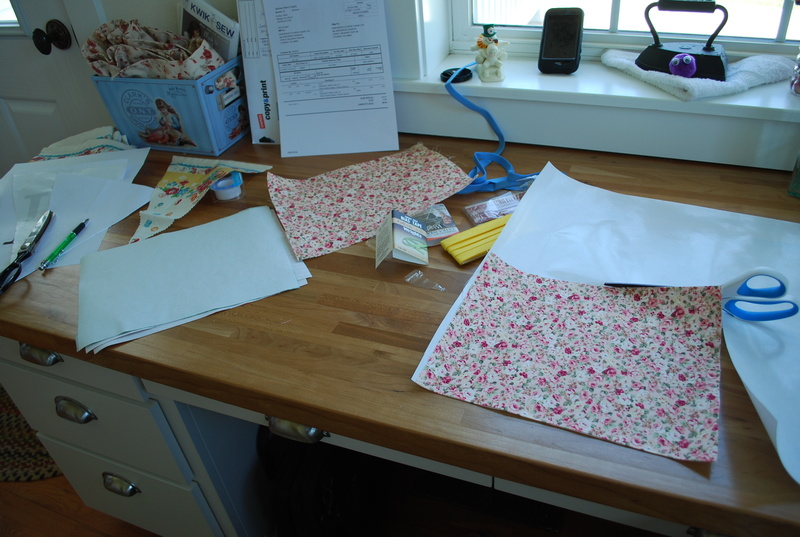 What a mess I made today! 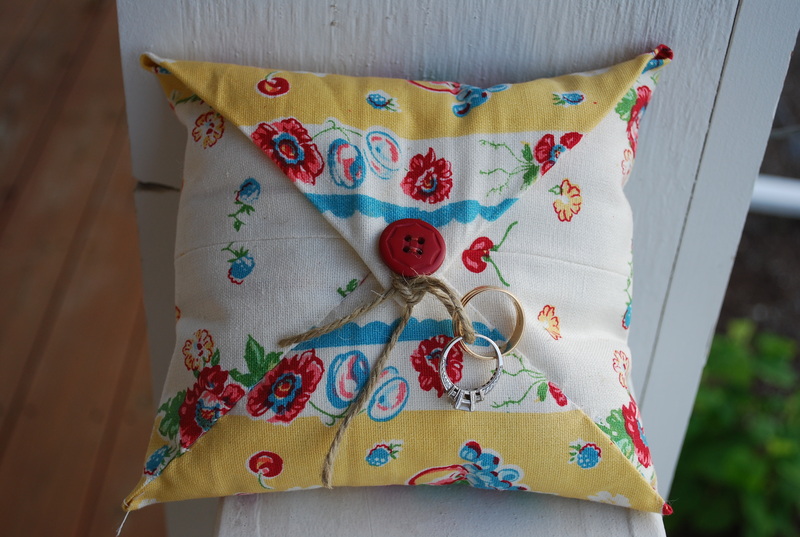 Then I decided to make the ring bearer pillow…..it wasn’t as easy as I was thinking either…..but I did get it done and I do like it! That little thread hanging off the left side (your left) is driving me CRAZY! 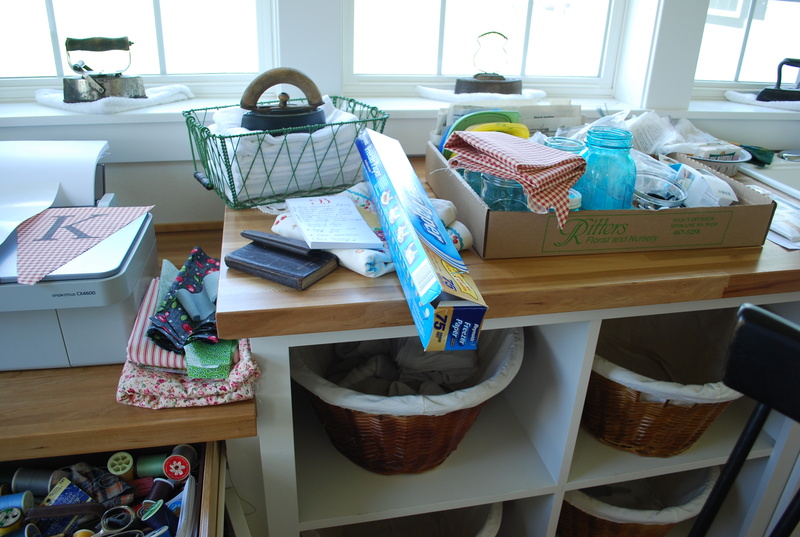 I made it out of a faux vintage table cloth material that I was saving to make my own laundry room curtains…..but I needed it for this project and so I sacrificed it for the cause! 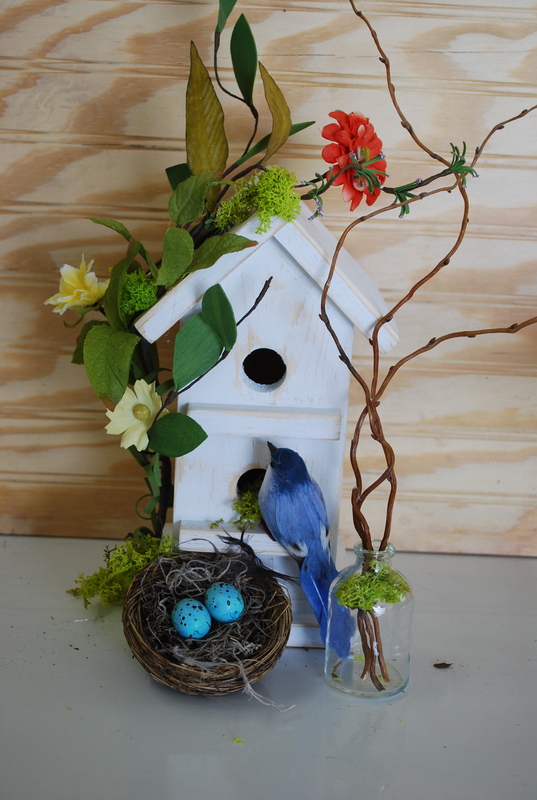 I finished up the birdhouses, nests with eggs and curly willow bottles…. Then I went to “Farm Chicks” a fews weeks ago and got inspired again! This is what happened because of it!!! 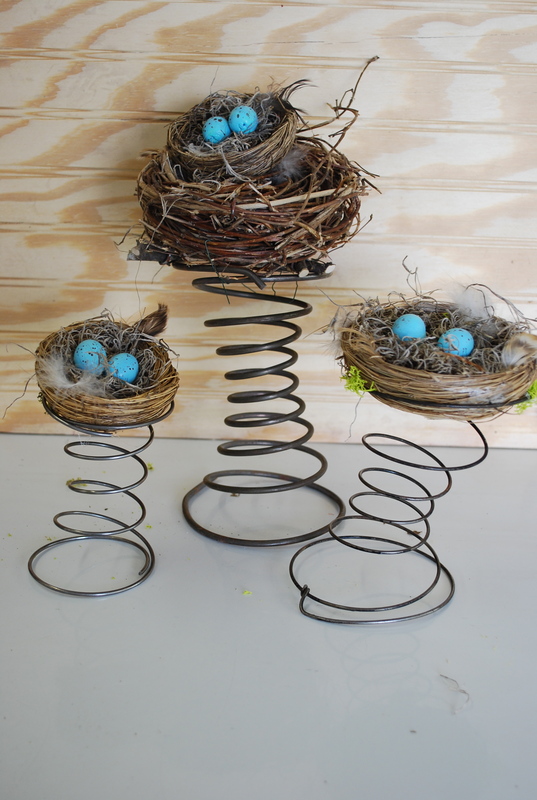 I so wish I would have had enough "springs" to make these the centerpieces instead of the birdhouses but....waddaya gonna do? Now all I have to do is one more thing, and then I think we are ready to ship those packages! I’m so worried I will forget something! I am hoping I can find the hanging pink amaranths in Michigan! Isn't it cool? LOVE THIS whole look! 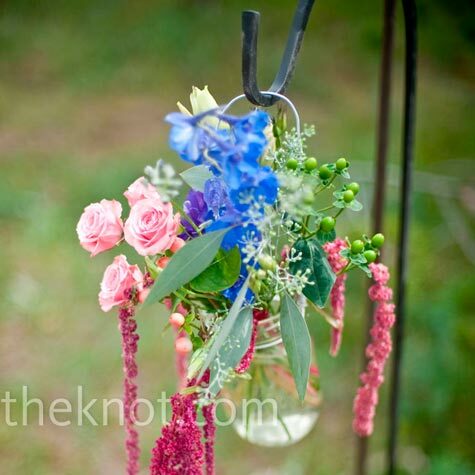 I got the idea from “The knot.com” such an inspirational site. Maybe I can rest now? Probably not! I will just get inspired again tomorrow I’m SURE! Se la vie!